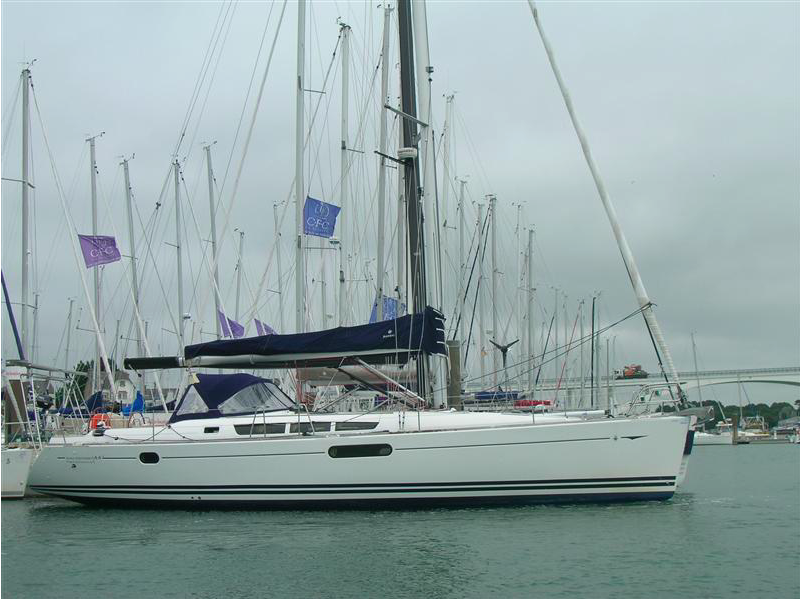 The 4 double cabin / 2 head Jeanneau 44i has been expertly designed to make the most of the space onboard without compromising on sailing performance. 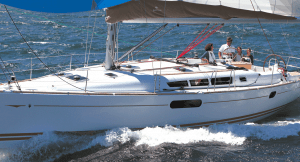 The Jeanneau 44i is one of the more popular yachts in the Jeanneau Sun Odyssey line of cruising sailboats. 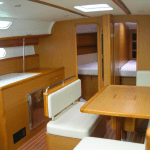 You will find ‘Superbus’ combines sailing performance with indulgent comfort. 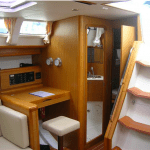 The cockpit is expansive with a large cockpit table perfect for relaxing at anchor. 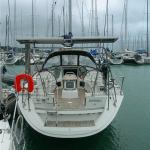 The twin steering wheels provide the perfect vantage point for helm control and give easy access to the sugar-scooped stern. 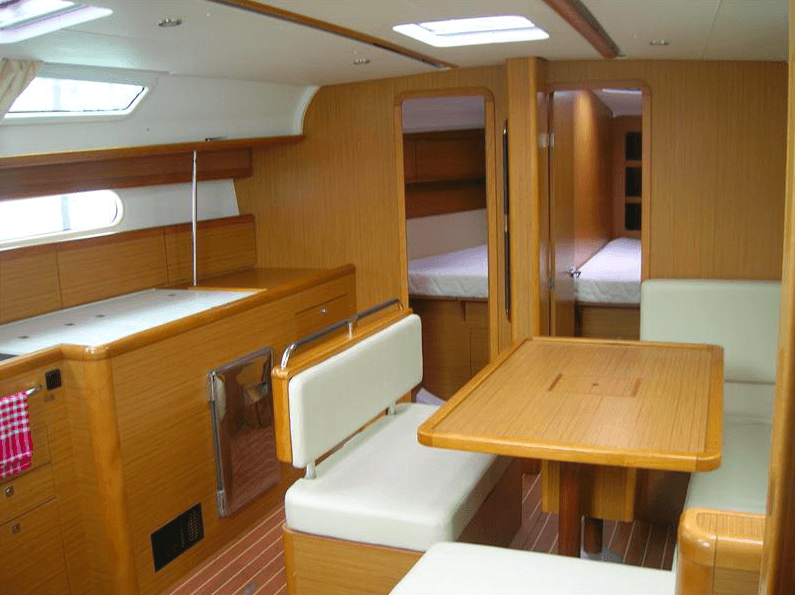 The 44i’s large cockpit features a spacious dining area with large folding table and storage. 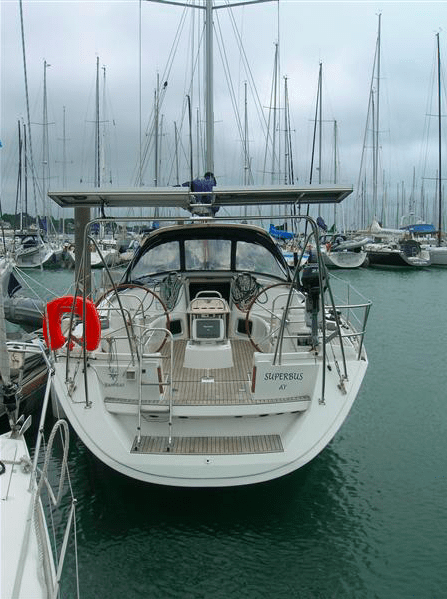 Twin helm steering keeps the cockpit open, with easy access to the aft transom while moored. 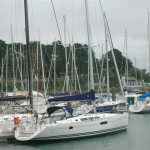 The winches are located near the helms, for easy sail handling by a reduced crew. 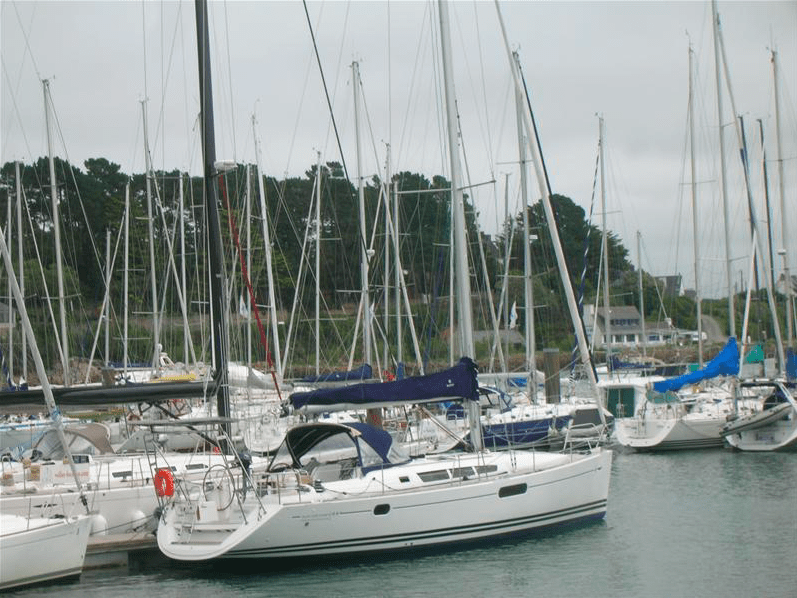 A large sail area offers great performance, while a powerful bow thruster offers the ultimate in manoeuvrability! 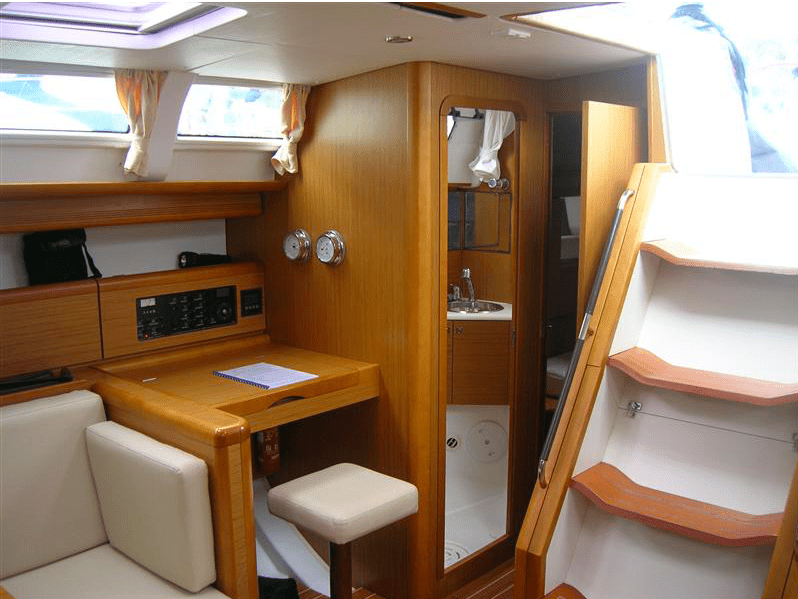 Inside, the contemporary interior features a spacious saloon with table, convertible to double berth, and a fully equipped galley. 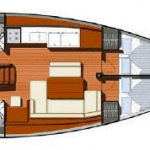 Opening hatches, ports and long saloon windows allow for plenty of light and ventilation. 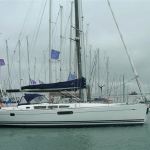 This version has 4 cabins and 2 heads, with additional convertible forward bunks, ideal for crew or kids. Can be sold in QLD commercial registration or private use.